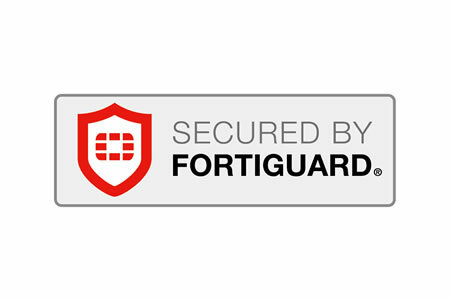 Fortinet has announced it has made several enhancements to its FortiCloud management system and has also introduced a new range of secure Wireless Access Points (APs) that can be managed entirely in the cloud. The updates and new line is part of the company’s drive to dominate the secure wireless networking market, which has been helped by the recent acquisition of Meru Networks: A leading supplier of wireless local area networks (WLANs) to the education, enterprise, hospitality, and healthcare industries. Wireless LAN solutions are convenient for organizations with facilities in multiple locations; however, deploying WLAN solutions is not without challenges. The architecture is often complex as networks need to be segregated, with separate networks used for guests and employees. Multiple WLAN controllers are often required, with separate security appliances also required, adding to both cost and complexity. The alternative is to use cloud-based WiFi solutions, and while there is now much more choice in this area, security remains a major concern. There are many security challenges associates with cloud-based WLAN control, which have not been fully addressed. Fortinet says its new FortiAP-S series wireless LAN (WLAN) APs offer a solution and allow organizations to take advantage of the benefits of cloud-based management, without having to compromise on security. According to Fortinet, the FortiAP-S products are the most secure enterprise-cloud-managed WiFi products on the market. With FortiAP-S products there is no need for separate WLAN controllers. All APs are centrally managed through the FortiCloud management system. With the FortiAP-S series, organizations can improve security, visibility, and control while reducing infrastructure complexity. Further, the scalability of cloud management makes the solution ideal for organizations operating across thousands of sites. FortiAP-S series APs include a wide range of advanced security protections such as rogue AP detection, granular application controls, intrusion prevention, AV protection, and web filtering. The FortiAP-S series is protected by Fortinet technology which runs directly on the Aps, providing unparalleled protection from current and emerging threats. Security updates are provided directly to the APs via FortiGuard Labs’ Threat Intelligence service. “Fortinet’s new FortiAP-S series combines the flexibility of Cloud Management, the latest generation of Wireless Access Point technology and the proven security of FortiGuard, all forming a Secure Wireless architecture for Enterprise Access Networks.” said John Maddison, Fortinet’s VP of marketing.